It sounds like Josh Freeman is making progress in his recovery, and if things continue to go well, he should be able to go in week one vs the Browns at home. Quarterback Josh Freeman was able to grip the football and threw passes briefly with a trainer Sunday, according to coach Raheem Morris. Freeman broke the tip of his thumb on his throwing hand against the Chiefs nine days ago and has been receiving treatment ever since. On Monday, he rejoined his teammates on the field for practice but did not participate. “He’s on or maybe ahead of schedule,” Morris said Monday. The Bucs expect Freeman to practice sometime next week and play in the Sept. 12 season opener against Cleveland. 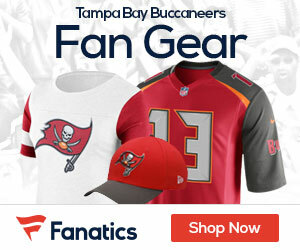 This is a great sign for the Bucs! Glad to see Josh healing quickly!